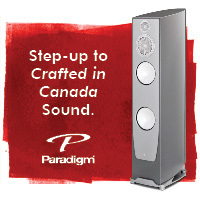 Building on the success of their Neo 380D DAC, Simaudio went back to the drawing board, creating the MOON 390 from the ground up, offering a perfect combination of flexibility and sonic performance that we’ve come to expect from this great Canadian company. Thanks to an onboard phono stage and a streaming DAC (that is also a ROON endpoint) you are covered, no matter how you like to listen. This perfection starts at $5,300. The biggest difference here between the 390, the 380D and the popular ACE is that the MOON 390 is a line level component only. 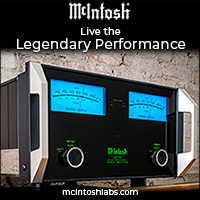 You must add your own power amplifier to complete the system, but that is part of the fun! Those wanting the modern functionality of an AV receiver, but only require a 2 channel environment, the 390 feels right at home and provides the latest HDMI specs with 4 HDMI inputs and one output (video pass-through/switching only. No video processing). The video works flawlessly and produces great sounding stereo for both TV and movies, without needing 5+ channels. With an original 380D on hand for comparison, it is easy to see the progress made in the 390. The 390 sounds similar to the 380 right out of the box, but after about 48 hours of constant play, it comes into its own. The expanded input options allowed enjoying formats previously avoided. One killer feature with the provided HDMI board is the ability to decode a native DSD bitstream from SACD, for those that still have a large collection of SACDs and other disc-based media. 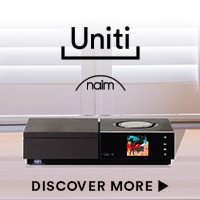 Connecting an Oppo UDP 205 to the 390 via it’s HDMI input, allows the ability to go back to untouched SACDs and DVD-A discs, providing long listening sessions more closely akin to vinyl than digital in both sound and experience. The SACDs of Miles Davis’ Kind of Blueand Chet Baker’s Chetwere so lifelike that it made me wonder why I ever ceased listening to the format. This may mean having to actually walk over to the player and drop in a shiny silver disc, but it’s a forgotten ritual that tends to yield a more focused and enjoyable listening experience than mere streaming. Moving to the provided built-in phono stage with a Rega P5, I went exploring through some vinyl favorites that have been skipped since selling my external tube phono preamplifier a few months back. The sound of Louis Armstrong’s Satchmo Plays King Oliverwas clean, detailed and dead quiet, somewhere on par with the performance of their 110 LP phono preamplifier. Thanks to the flexibility of the 390 it never limits your format choices and you don’t have to choose between convenience and ritual. Easy as the 390 is to use, it never compromises sound quality for convenience. With TIDAL and Simaudio’s MiND app ready, a world of music is instantly available at your disposal. Through the 390 and MiND, even basic 16/44 CD quality provides a lush soundstage with a natural sound that checks off nearly box one would want from a great DAC. Dense, detailed, warm/musical, and enjoyable at every note. 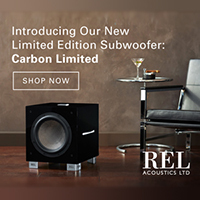 With sound this good in this price range, one might even feel guilty about somehow getting away with the steal of the century. Each successive track compels me to linger a little longer rather than skip around. With the ease of the 390/MiND combo and TIDAL’s vast collection, there is much more music to be had. The MQA Master of “The Angel of Doubt” from the latest Punch Brothers album All Ashore starts rather subdued, but eventually builds into a bluegrass vocal rap that shows off both the diverse talent of Chris Thile & Co. and just how well the 390 can translate a more subtle track like this. The opening gentle mandolin plucking, whispered vocals, and silent spaces provide the perfect contrast to the more forceful vocal tongue twisting ending. On this track, the 390 provides plenty of low-end authority with the acoustic bass while allowing the vocals to remain clear and separate over the top. Pushing the 390 a little more, “The Dark” from the latest Thrice album Palms, delivers thundering toms and brooding guitars with enough space to hear how well the 390 can unpack even the most complex modern recordings. There’s plenty of air, detail, as well as bass extension as the track manically swings between the quieter verses and heavy chorus. The overall sound that the 390 produces reminds me again why the previous 380D DAC that the 390 builds on was such an amazing value. (you can read the original 380D TONE review here for additional listening reference: http://www.tonepublications.com/review/simaudio-neo-380d-dac/) It’s clear that Simaudio has eclipsed the already excellent 380D with their latest release. While Simaudio continues to improve to their MiND app, it remains a weak point in the complete package. I eventually settled into its methods and quirks, but there’s definitely some room for improvement in overall ease of use and performance. Sound quality is exemplary, but I did experience issues with functionality and firmware upgrades in the context of my system. ROON users will not have this problem. While it’s been a few years since I last auditioned the Moon by Simaudio 350P Preamplifier that the 390 is based on, it sounds every bit as enjoyable as I remember the 350P being. It’s detailed, with dead quiet backgrounds, punchy and controlled bass, speed, neutrality, and transparency… it is all there. 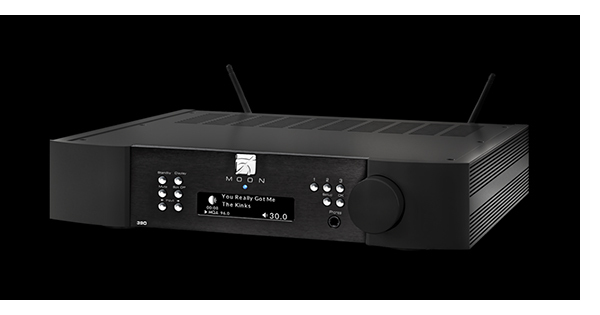 It is amazing that Simaudio took the $3,700 Moon Neo 350p Preamplifier, the $6,100 380D DSD DAC, a good phono stage, a decent headphone amp, added modern HDMI connectivity/convenience along with the new MiND 2.0 network streaming unit, and gave it a $5,200 price tag. That’s progress. Don’t forget the 10-year warranty, either. With balanced XLR outputs as well as standard RCAs, the 390 is compatible with any power amplifier, new or old. Our publisher goes further into detail with this below, as I only had my Rogue Audio Stereo 100 for this review. Having had the pleasure of reviewing nearly 30 Simaudio components since we started TONE, owning a few, and visiting the factory a couple of times – I can speak with confidence that I have some seat time with this brand. Comparing the sound quality to that of Simaudio’s most expensive components, it’s easy to see where the technology has trickled down, and strategically, where costs have been cut to meet a budget target. First, the casework, while still machined in house and of excellent quality, is simpler in execution, but you still get three color choices: silver, black, or silver and black. The remote is stripped down in functionality and plastic instead of the coolio billet one that comes with the 800 series components. All excellent choices to put the money where it will do the most – inside. 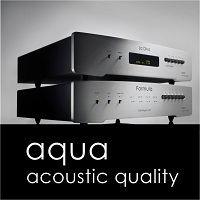 Sonically, the MOON 390 feels similar in tonality and general dynamics to the top components. 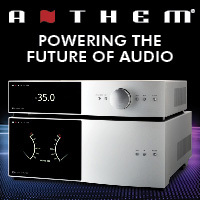 Again, because it lacks the massive power supply from their reference series, the 390 lacks the ultimate dynamic heft and low level resolution of the five-figure Simaudio components. However, in the context of a number of power amplifiers in the $3,000 – $12,000 range, I never felt that I was missing out on anything. While my personal bias leads to a slightly big warmer side of the tonal scale, I enjoyed the 390 the most with the Pass Labs XA25 class A solid state amplifier and the new PrimaLuna EVO 400 tube power amplifier. The good news is that the MOON 390 is very neutral tonally, so you can achieve whatever overall effect you desire by voicing the rest of your system accordingly. I’ve never been a big fan of the MiND app, but being a long term ROON user, I’m not a fan of any of the others either. Like so many other third party music server apps, MiND falls down hardest with a large collection. Those not wanting to shell out the coin for a ROON subscription that don’t have huge music collections will probably be just fine. Running the phonostage through a gamut of moderately priced phono cartridges, utilizing the Luxman PD-171A turntable (which costs more than the 390), I’ll stick my neck out and suggest that a cartridge in the $100 – $1,000 range will be an excellent match for the MM/MC stage that is on board.